Posted on March 29, 2017 at 11:00 am. Nothing goes better with a slice of pizza than a cold beer. Before making the usual purchase from the local beer distributor, discover the ideal brew to pair with pepperoni and other favorite toppings. Those who like to keep it simple with sweet tomatoes, fresh mozzarella, and savory basil should opt to wash their pizza down with a pale ale like Sierra Nevada. The light taste will balance the acidity and brightness of the sauce without overshadowing the delicate flavor of the cheese. Since pepperoni is a spicier meat, it needs a strong beer to stand up to the taste. The dark, bitter roast of an IPA pairs perfectly, cleansing the palate for the big flavors of the slice without overwhelming the senses. While this pineapple and ham-topped pie might be a more exotic choice, this pairing can make it anyone’s favorite. Choosing a beer or cider with a fruity flavor, such as Redd’s Apple Ale, contrasts the salty meat while providing a harmonious note with the sweet, juicy fruit profiles. Pair this pizza with an earthy, hoppy beer. English ales are an excellent choice since their earthiness is tinged with a sweetness that helps brighten up the mushroom flavor. Similarly, the rich sweetness of a milk or chocolate stout is another good pairing choice to grab from the beer distributor, as it is both bold and delicate like the mushrooms themselves. An indulgent pizza deserves an indulgent beer. The caramel in this powerful beer plays well with the natural sweetness of smoked meats like sausage. Meanwhile, the herbal flavors from the pizza bring out the peaty notes in the beer, offering a nice balance. Some may think that any beer matches well with the classic cheese pizza. However, a wheat beer like Blue Moon is light enough to not overshadow the flavors of the pizza, allowing this favorite meal to shine. Stock the fridge with one of these selections from a local beer distributor next time Friday night rolls around. These pairings are ideal for a date or a night out with friends. Posted on March 28, 2017 at 10:00 am. Of the many wellness drinks available, coconut water has captured the attention of many people due to its numerous health benefits. Coconut water comes from young fruits, and if the fruits ripen, the water changes into solid coconut meat. The water is 94 percent liquid with just traces of fat. This beverage is also rich with minerals, as it contains magnesium, manganese, potassium, and vitamin C.
The low fat content of coconut water makes it an ideal part of a weight loss regimen. It’s a low-calorie way to still feel full while dieting. Just as many people swear by kombucha or other wellness drinks for digestion, the high fiber content of coconut water makes it useful as a digestion aid. It may also help with acid reflux and indigestion symptoms. A high potassium content and low sugar content make coconut water a natural energy drink that’s healthier than its artificial competitors. These hydrating properties also make coconut water a natural hangover remedy after consuming too many alcoholic beverages because it helps replenish lost fluids while settling the stomach. When electrolyte levels are skewed, people may experience high blood pressure. The minerals present in coconut water can stabilize electrolyte levels and have a positive impact on blood pressure. The antioxidants present in this beverage can have a beneficial impact on free radicals, which cause damage to cells and deplete collagen production. 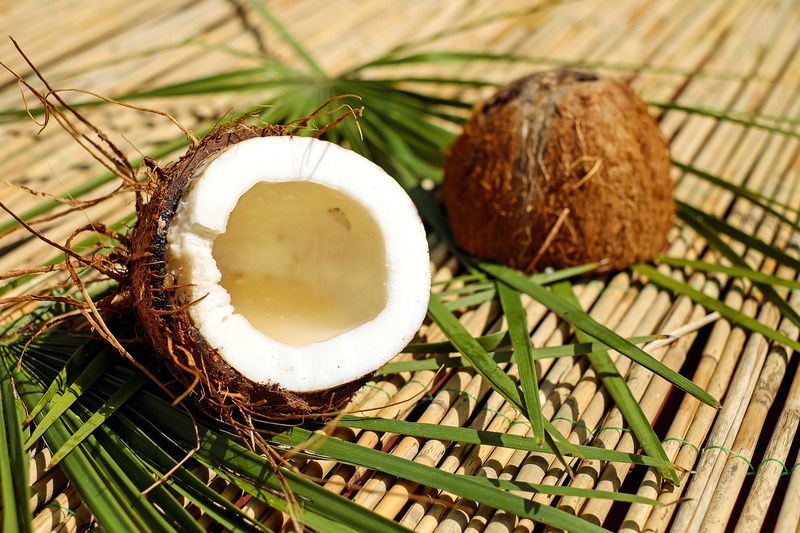 Several laboratory studies have shown a decrease in rats’ free radical activity when they were given coconut water. Studies have also shown a reduction in blood sugar levels among diabetic rats given this drink. The same rats also showed a reduced amount of hemoglobin A1c, which is a long-term measurement of blood sugar control. The magnesium present in coconut water can also have a positive impact on insulin sensitivity for people with type 2 Diabetes. The low caloric content and high nutritional content of this beverage make it a worthy addition to a list of wellness drinks. Posted on March 27, 2017 at 2:09 pm. A child’s birthday party is the perfect time to get creative. Many parents coordinate decorations, food, and tableware to match a theme, but they may overlook a fun opportunity—the drinks! Here are six unique beverages to serve at a kid-friendly party. 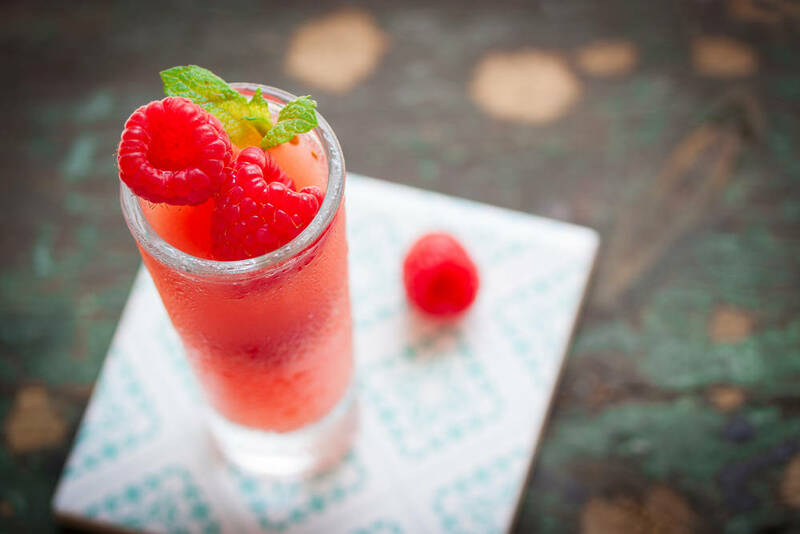 This delicious drink is sure to make a splash at any summer-themed party. Mix some pineapple juice, Body Armor sports drink – Mixed Berry flavor, and 7-UP together. Pour into individual glasses, and just before serving, add a splash of grenadine (a thick cherry-flavored syrup). To truly sell the theme, drop in a gummy shark. Bring some class to the party with this age-appropriate twist on an adult favorite. Mix a juice of choice (cranberry juice works well for this), Canada Dry ginger ale, and sliced fruit and berries like oranges, limes, pineapple, strawberries, and cranberries. Just like sangria, the longer it sits, the fruitier the flavor it’ll punch. Fizzy beverages are always a hit with kids. Combine raspberry sorbet, raspberry juice, and carbonated water for a fruity twist on a classic party punch. As a bonus, this is easily adaptable to almost any other flavor for children who may not like raspberry. Mixing grenadine and 7-UP is the easiest way to make this old-timey drink. Put a unique twist on it by freezing cherries and throwing them in. They’ll keep the beverages cool without watering them down! Having a piñata? Serve horchata along with it! This is a Mexican rice and cinnamon drink that the kids will love. Blend uncooked rice and water together and let it sit for several hours. Then, strain and throw away the rice. Add sugar, milk, vanilla, and cinnamon sticks to the rice water, then chill and serve over ice. This is perfect for younger children who love a fun surprise. Put a few drops of food coloring in the bottom of a glass and let it dry. Before serving the drinks, fill the cups with ice. Let the kids pour their own beverages (a clear soda works best), and then watch in awe as the food coloring magically changes the color of the drink! Be sure to follow @ColumbiaDistributing on Facebook for more seasonal drink recipes and the latest drink trends! Posted on February 21, 2017 at 1:15 pm. The MillerCoors Company is the consummation of two immigrants who never met, but who grew up working in European breweries. In 1855, Frederick Miller, from Germany, bought an abandoned brewery in a Wisconsin valley near clear waters and the raw materials of neighboring farms. In 1873, Adolph Kohrs, a former stowaway from Prussia, bought a ramshackle brewery in Colorado. By the 1950s, each company’s beer distributors were selling more than a million barrels a year. 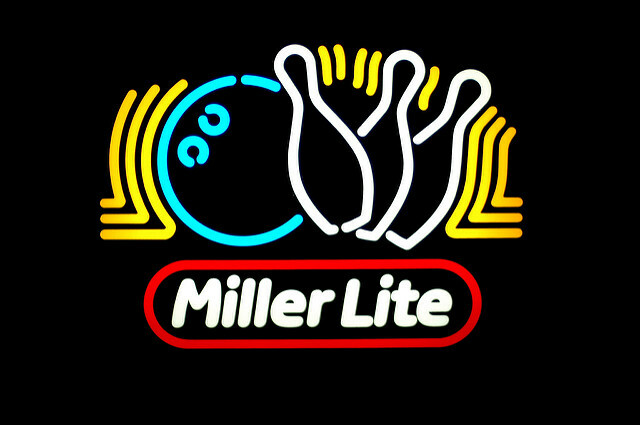 By 2008, Miller and Coors were partners in a global brewing conglomerate. In 2015, it sold for $107 billion. Since their inception, Miller and Coors have been leaders in experimentation. Miller was one of the first breweries to pasteurize beer, and both were pioneers in mechanical refrigeration. Miller made the first American ice-brewed beer, while Coors was first to sell wide-mouth cans. Coors and its beer distributors launched a national recycling revolution by offering a penny for every can returned, and Miller ignited the low-calorie beer wars with its infamous Miller Lite product. The thought of America’s first light beer occurred in the early 1970s in Munich, Germany, where Miller’s president, John Murphy, was dining with a friend who was trying to lose weight. When the waiter recommended a “diät-pilsener” (a low-sugar, pale lager for diabetics), Murphy ordered for himself. After a few sips, he said, “There’s room for something like this in America.” Before long, Miller Brewing had discovered a recipe that broke down higher-calorie starches. After tweaking it to produce, in the brewery’s words, “A low-calorie brew that tastes like beer,” the birth of Miller Lite spawned a new generation of beer drinkers, beer distributors, and a “light” revolution in American drink and food. Amid the burgeoning popularity of craft beers worldwide, all the major breweries scrambled to contend with the competition while chasing demand. After joining forces, Miller and Coors poured more marketing dollars into online and social media and even created new brands like Blue Moon. Next came a new corporate division, Tenth and Blake Beer Co., which orchestrated such operations as Jacob Leinenkugel Brewing Co., the Blue Moon beers, others created by Coors, and imported brands like Pilsner Urquell. In 1969, Philip Morris bought Miller for $130 million from Frederick Miller’s heirs. In 2002, Philip Morris sold Miller to South African Breweries (SAB) for $3.6 billion in stock and $2 billion in debt to form SABMiller. In 2005, Coors merged with Molson to form Molson Coors Company. In 2007, SABMiller and Molson Coors formed a joint venture called MillerCoors. And finally, in 2015, Anheuser-Busch InBev announced its acquisition of competitor SABMiller for $107 billion. Posted on February 16, 2017 at 10:30 am. Anyone who has ever marveled at the dizzying number of mainstream and specialty brands a favorite watering hole keeps on tap has probably wondered just how that big truck with the roll-up sides gets stocked with so many different kinds of drinks. The answer is quite interesting. In the US, beverage distribution differs from foodstuff distribution in one rather big, corporate way. Transnational food supply corporations, by and large, nationally distribute food. Those mega-corporate names often aren’t as familiar as the brands they supply to local grocers or restaurants. In contrast, beverages are predominantly delivered by independent distributors that warehouse and distribute products for manufacturers over territories usually no larger than a few states. This is especially true for alcoholic beverages. The majority of those trucks are, in fact, from small- to mid-sized, local operations. They distinguish themselves from franchise distributors—those who work for a specific brand—by general or regional business names that don’t incorporate brand references or logos. Oddly enough, America’s thirst for the best craft brew, no matter where it’s made, actually contributes to the nation’s economic recovery in two ways. Because it is not nationally controlled by a small number of corporate interests, beverage distribution is an area of the economy that fosters and favors the development of American enterprise, creating jobs at the local level in several sectors. This benefit then multiplies nationally as distributors deliver more domestically crafted microbrews and specialty beverages because the delicious cargo is itself produced by a growing number of small- and mid-sized companies all across the country. The three-tier beverage distribution system (i.e. producer to wholesaler/distributor to retailer) was designed post-Prohibition in the United States. It aims in part to guarantee regional wholesale price parity, and in part to ensure operational transparency across the alcoholic beverage industry regarding sales, taxes, and consumption. That means that even the most hyper-local microbrewery will go through a beverage distributor to get on draft at the local watering hole. Therefore, even though wholesalers and distributors are largely local, abiding by the federally mandated three-tier system guarantees safe beverage distribution to everyone nationwide. Posted on February 14, 2017 at 1:30 pm. Exploring the many craft beers available through a beverage distributor will help ensure a memorable Valentine’s Day celebration. Craft beers can make for a delicious pairing with a special dinner and sweet desserts. Here are some top craft breweries with romantic brews worth trying. 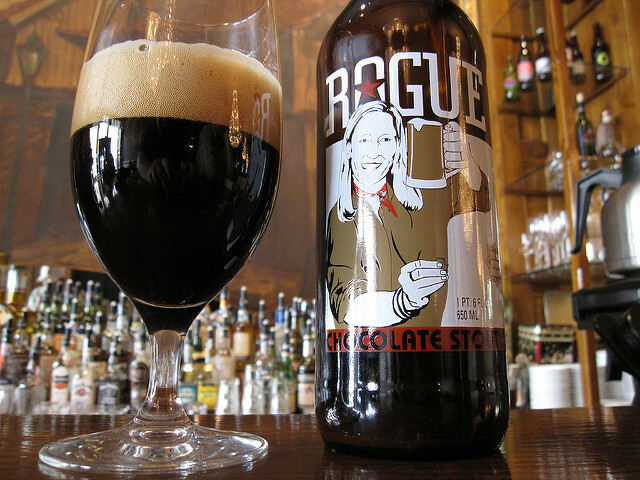 Rogue’s Chocolate Stout exudes a rich, earthy flavor with prominent notes of oats and hops. The dark ebony color of the Chocolate Stout makes this beer an ideal dessert beverage. Rogue is famous for brewing its beers without any chemicals, preservatives, or additives, and these beverages are part of a hand-made revolution. With just 11 ingredients including chocolate, this American stout beer promises to be part of a memorable evening. New Holland’s barrel-aged stout, Dragon’s Milk Reserve, offers several different varieties to suit virtually every taste. Try the Dragon’s Milk Reserve with oak, raspberry, and lemon or a variety with coconut rum, which is sure to be a big hit. Additionally, an oak option with coffee and chocolate is a creamy mixture of vanilla and roast coffee. Or, ask the local beverage distributor about the Dragon’s Milk Reserve with vanilla and chai spices, as a perfect nightcap paired with a decadent dessert. Samuel Adams offers a distinct Chocolate Bock with an easy-to-drink malty flavor, and, as expected, a strong chocolate flavor paired with hints of caramel and roasted marshmallow. These flavors make it the perfect pairing with a nostalgic s’mores treat by the fire. Romantic Chemistry, brewed by Dogfish Head, is an India Pale Ale with the essence of ginger, mango, and apricots. The ale includes three kinds of hops, which combine delightfully with the tropical fruits. With a fruity and hop-forward aroma, pair this medium-to-light ale with cheese, Mexican entrées, seafood, and more. Try Dogfish Head’s Flesh and Blood IPA for an India Pale Ale with a citrusy aroma and flavor. Deep orange in color, this medium-bodied ale is ideal with both entrées and desserts. With a wide array of craft beers available through a beverage distributor, you can create an unforgettable Valentine’s Day with distinctive food, drink, and company. Posted on February 13, 2017 at 3:55 pm. Kombucha has taken the health industry by storm, swiftly becoming the preferred drink of yoga-enthusiasts and businessmen alike. The lightly fizzy drink is the perfect substitute for sugary sodas. While the drink is becoming more common, there are still a few surprising facts lurking behind those colorful labels. Kombucha is a fermented mushroom and tea-based drink, full of living cultures. 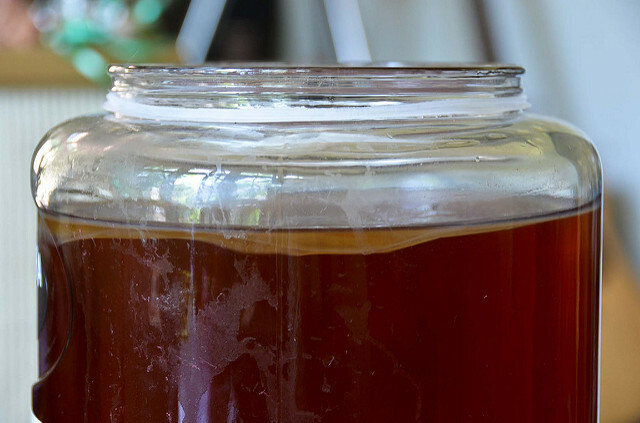 The industry refers to the culture as SCOBY or the Symbiotic Culture of Bacteria and Yeast. The drink ferments for about one month before being packaged and shipped to stores. After the kombucha finishes fermenting, the mushroom can either be eaten or recycled into another batch of kombucha. Both beer and kombucha are fermented drinks and are thus both available from many alcohol distributors. Both contain alcohol as a byproduct of the fermentation process. 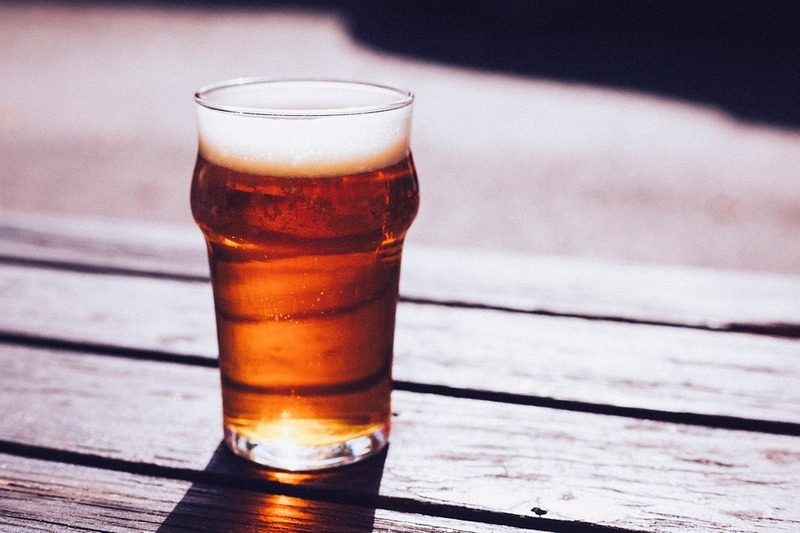 Though beer has a wide range of alcohol contents, depending on the brewery and the style of beer, the average is about 4.5 percent alcohol by volume. Most commercially available kombuchas ferment to an ABV of .05 percent. Because of this, the drink can be sold without the restrictions placed on other alcoholic drinks. Don’t discount kombucha just because it’s a health drink! The tangy and effervescent beverage is the perfect cocktail mixer. Add it to a margarita for a unique, tart bite. Really, the drink can be used anywhere a sour mixer would come in handy. The possibilities are only limited by a bartender’s imagination. Best of all, an alcohol distributor can get enough kombucha for most bars and restaurants to offer a wide selection. Many people find the idea of drinking a fermented mushroom tea off-putting, but once they start, it’s not long until they want to buy more. While it’s not as addictive as coffee or tea, many people who drink kombucha find they start to crave it. With a low calorie count and that delightful carbonation, go ahead and indulge! Offering kombucha is a fantastic way to expand a bar’s menu and increase the number of cocktails a bartender can make. Working with an experienced alcohol distributor makes keeping enough kombucha on hand easy. Posted on January 30, 2017 at 3:15 pm. Craft breweries continue to open at a rapid pace, and for a good reason. They hit on a number of modern trends in the industry such as local ingredients, unique drink and food options, and great service. Explore these spot-on tips for how to get a craft brewery running with a successful start. Craft breweries have exploded in popularity, which is good for the customer but creates a crowded field for owners. This means that there is little time for a transitional period. It’s important to determine what beers will be sold, what foods will be available, and to hire the qualified staff needed to get things running right away. Consider a soft opening for friends and family before the doors become open to the public to ensure everything is in place. 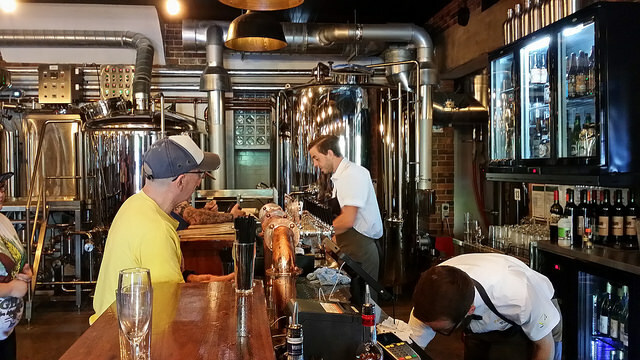 Many customers choose to go to craft breweries primarily because of the local, inviting atmosphere. This environment includes the building type, the seating area, and even the outfits of the waiters or bartenders. A small stone pub can get away with muted lighting and crowded pool tables, while a brewery on the outskirts of town next to a natural setting should capitalize on the natural light and offer amenities like open patios. Make sure that the bar’s appearance fits with its location, and highlights what the spot has to offer that makes it unique. It’s important to know that some customers will be craft beer experts, while others will have very little knowledge about the field. The staff needs to be able to walk all customer types through their decision and help them find a beer within their taste range. In some cases, experts may want the exact details on each beer, and the staff has to be prepared to give a comprehensive and articulate description of the selection. This also applies to food pairings, describing the brewing process, and making it an outstanding experience with a connection to the community. The market only has so much room for craft breweries. Each new one has to find a niche in the market and balance it with the current demand in their city. They then have to be able to pivot in the marketplace by bringing in new specials to keep the market growing and to build a loyal customer base. It’s important to play into what your clientele likes. Distribution patterns need to be established right away and details as small as beer names need to be unique and make a splash. With our broad range of brands and beverage types, Columbia Distributing has been helping businesses succeed for years. Contact us today to find out how we can help your local businesses thrive. Posted on January 25, 2017 at 2:45 pm. Both craft beer distributors and beer festivals are on the rise as the appreciation of good beer spreads. However, it’s easy to get lost in the shuffle of these large-scale events. Here are tried-and-true steps to stand out and attract customers. Tickets can slow down festival operations and frustrate customers. Tickets frequently get lost and restrict how much people are willing to try, which may prevent guests from spending their precious tickets on a particular beer or trying a more adventurous flavor. Selecting festivals that follow a one-time fee to enter creates a more positive and relaxed fest vibe for both staff and festival attendees. Particularly for breweries expanding to a new region, festival customers may be trying out a brand for the first time and need a lot of guidance for their sample. Others will be stopping by to grab a taste of an old favorite, or to taste the newest product from a company they respect. In any situation, craft beer distributors need to aggressively advertise their selection and share unique talking points to stand out in the crowd. Craft beer distributors should send their highest-quality, tenured staff to represent them at a festival. Customers will want to know the history of the company, ingredients in the beer, and suggestions based on a wide variety of tastes. A confident and well-trained employee can also keep people entertained in long lines and encourage social media interactions to make a lasting impression. Water is a must to stay hydrated throughout the day, and every customer will be forever grateful to the vendors that provide it. It also cleans out their glass between samples and stops residue from building up. Other freebies like stickers and buttons will help make a brewery’s brand stand out among the other booths. 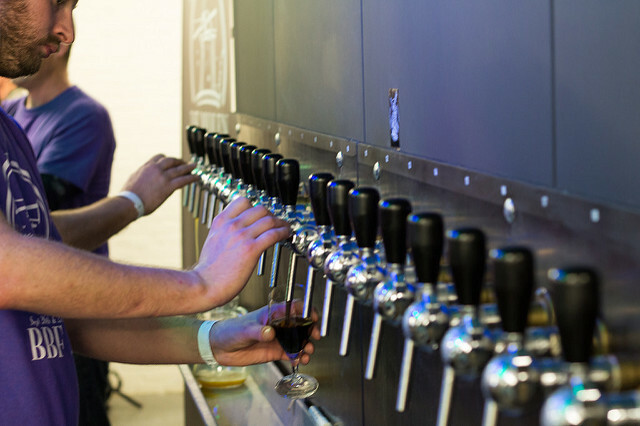 There’s no shortage of popular beer festivals happening, especially across the West Coast. With these tips in mind, strategic breweries can gain exposure in new markets and ensure a happy crowd at the next fest. Posted on January 20, 2017 at 12:29 pm. Before cracking open the usual beer, it’s time to take a look at another option that can often be forgotten. Head to a local beer and cider distributor to learn about the rich history of hard ciders and cast a shadow on the myths associated with this historic beverage. Many may consider it a sparkling apple drink for friends who can’t stomach the heaviness of beer, but this isn’t the case. There are a variety of drier hard ciders that are not only delicious but also deliver a great punch. For those who think cider lacks ABV, they haven’t tried 2 Towns Bad Apple. An imperial hard cider packing a 10.5% ABV, this cider is fermented with Oregon local meadowfoam honey and is fermented in White Oak barrels. The White Oak gives it notes of wood that flow through the familiar taste of apple. Due to its bold flavor, this pairs well with creamy sauces or risotto. By aging this cider in French oak barrels, it reaches new levels of crispness and can please any palate. 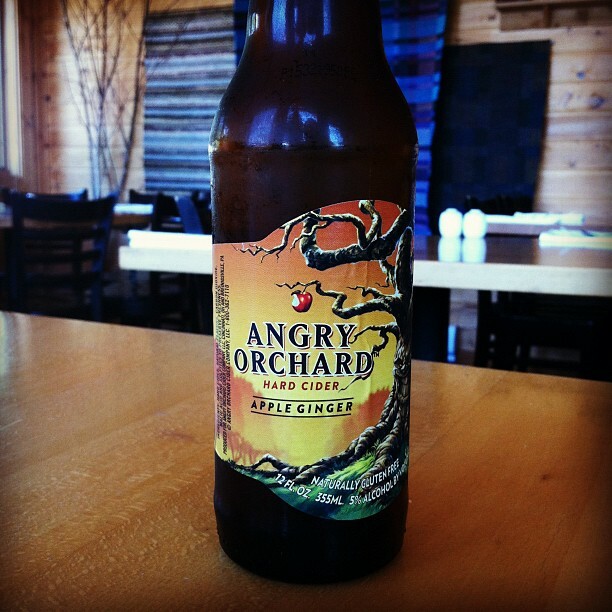 Angry Orchard now boasts a new extension in the Hudson Valley for its famous cider. Distributor aficionados and producers alike can agree that this brings a new flavor to the well-known brand. With an ABV of 7.7%, it’s a great option for those looking for a gluten-free alcoholic beverage. Taking a spin on the classic cider, the Fruit Salad Cider shines a deep purple hue. While the ingredients still contain apple, drinkers are more likely to taste bright berry flavor from the plums, Marionberries, and cherries. This is considered a drier cider with a hint of sweetener giving it its tang. Additionally, the cider distributor, Rogue, doesn’t use any additives, chemicals, or preservatives when fermenting. Holding an ABV of 6.4%, it pairs well with fruit or a summer salad to accentuate its flavors. This cider takes on the trait of many craft beers by using hops. The Strisselspalt hops are added to the cider post fermentation in a process called “dry hopping.” This allows for a hoppy taste without a bitter finish. Cider distributor Angry Orchard is known for its use of local Oregon apples such as Granny Smith, Gala, and Pink Lady. Hop’n Mad Apple has a 5% ABV and pairs well with pub food such as burgers, fries, or jalapeño poppers. Before heading to another brewery, be sure to stop by a cider distributor to learn more about many unknown and surprising new flavors in the field of cider. Cheers!